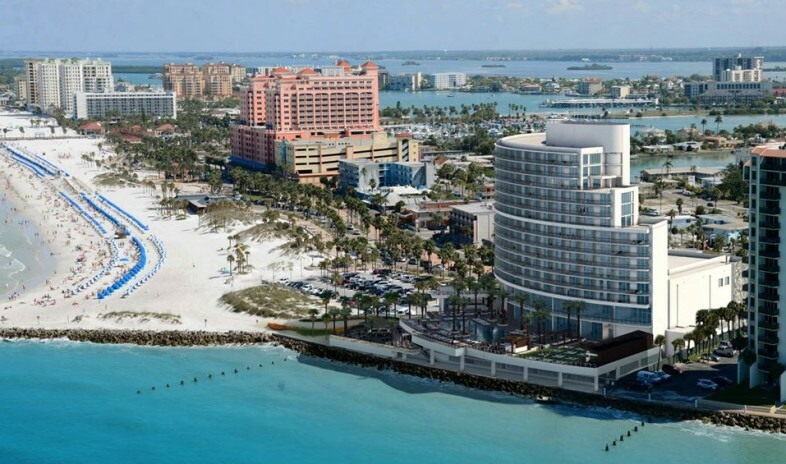 The all-new Opal Sands Resort will bring the latest word in casual luxury to Clearwater Beach, Florida, in 2016. Set on two prime beachfront acres along the Gulf of Mexico, the 15-story structure will feature 230 guest rooms and suites, all with private oceanfront balconies; a full-service spa and fitness center; a zero-entry pool and sundeck; and 25,000 square feet of space for groups, indoors and out. Plans include a sprawling event lawn, nine breakout rooms, and a ballroom seating up to 844 delegates in its largest configuration. Outside, miles of winding promenade lead to hundreds of shops and restaurants along the beach. One can't miss attraction: Pier 60, which, in addition to launching fishing and dining-boat tours, holds a daily sunset celebration complete with musicians, magicians, and other street performers. This resort is OVER THE TOP gorgeous! Beautiful for weddings or a fabulous event!